It’s not very often that I recommend music since it isn’t really in this site’s wheelhouse, but hear me out. “Division Battle Anthem” is a song sung by twelve prominent Japanese voice actors who were brought together for this new media property that launched at the end of 2017 called Hypnosis Mic. Hypnosis Mic started as drama CDs featuring said voice actors playing the roles of members of four different rap groups representing different regions in Tokyo and Yokohama in an alternate universe where rap battles settle conflicts instead of weapons. Sounds pretty wild, right? Each CD generally comes with one or more music tracks and accompanying drama tracks that help flesh out the characters and story. “Divison Battle Anthem,” however, is available on its own and features not one, but all four groups in a surprisingly catchy song. It’s pretty much what got me turned on to Hypnosis Mic, and now I can’t get enough of my favorite group Matenro! 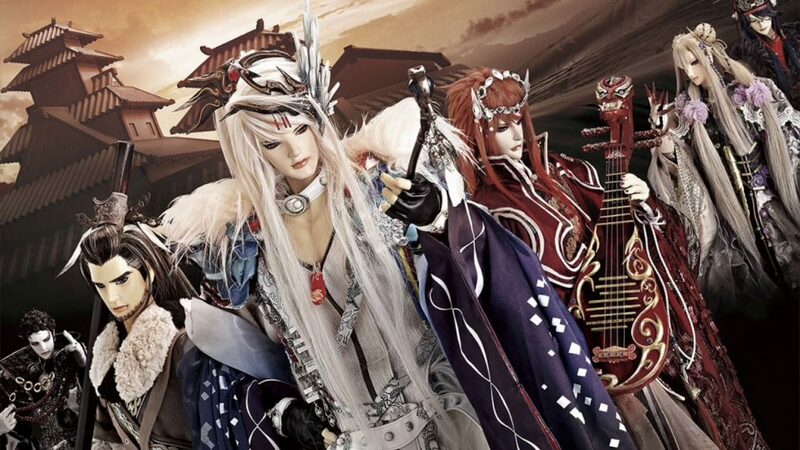 I absolutely loved the first season of Thunderbolt Fantasy, but I wasn’t sure that the second season could live up to the high bar it set. I’m happy to say that while it was different, and perhaps not quite as shocking in terms of plot development, I thoroughly enjoyed the return of surprisingly brutal puppet antics directed by Uroboshi Gen. If you like a slightly different sort of action series, I highly recommend starting with the first season. My only main complaint with the Thunderbolt Fantasy series, which is particularly prominent in season 2, is that the female characters kind of get the short end of the stick. I really hope there are more female characters in season 3! Out of all the games I played in 2018, this is the one I’ve gushed about the most. 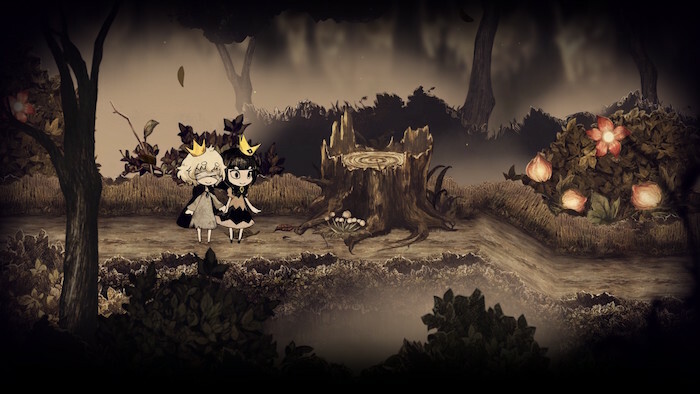 It has a lovely dark fairytale story and aesthetic that you don’t see often in games. Plus, if you were ever mad about how Ico’s director said they couldn’t make a game with a female protagonist because she’d have to wear a skirt, this is a great example of a girl leading a boy through a game in a skirt and it being perfectly fine. While some of the gameplay is a little rough around the edges, Usotsuki Hime to Moumoku Ouji is short enough that it never gets too frustrating and yet still tells a very fulfilling, complete (albeit bittersweet) tale. Check out my full review and then grab the English version, which just came out in February! I’ll admit, when I see an anime with promotional art consisting entirely of cute high school girls, I immediately bristle. Laid-Back Camp is certainly full of cute girls, but it doesn’t treat them like objects for a presumed male gaze as I initially feared. Instead, it focuses on the girls’ individual personalities and growing relationships with one another – all centered around their love for camping. The long, peaceful scenes of different characters just enjoying camping are incredibly soothing, and by the end of each episode, I felt this happiness that I rarely get from watching a series, anime or otherwise. Laid-Back Camp may have a premise around a high school club and that one introvert who doesn’t want to join, but unlike countless other anime I’ve seen, she is never forced to join the club. Rather, she spends much of her time camping alone, and she’s never nagged about it by the other girls, who instead communicate with her via supportive texts and photos of their own camping adventures. If you want to watch girls enjoying nature and friendships in their own, individual ways (and perhaps gain a new appreciation for nature yourself! ), I highly recommend checking it out. 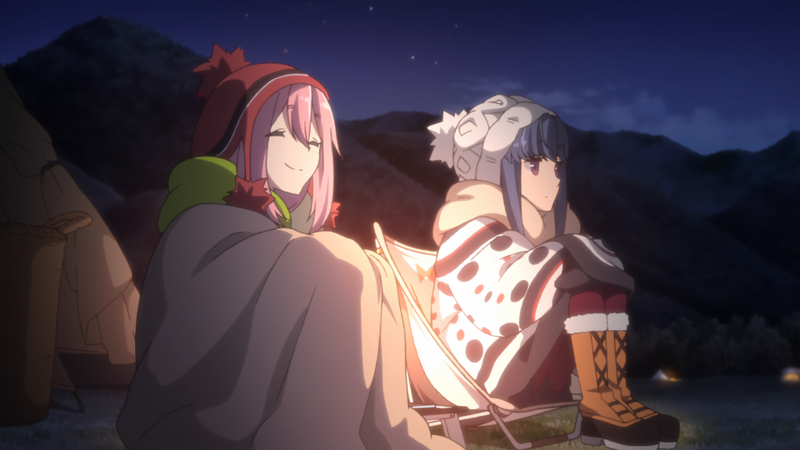 Laid-Back Camp is available to watch on Crunchyroll. I’ve been waiting for BL games to come out in English for what seems like forever, but when sweet pool was announced, I was a little apprehensive. 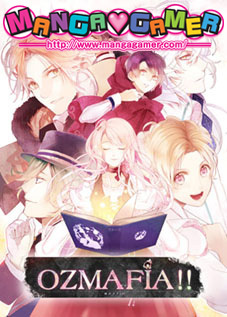 Much more a game for those who like horror than those who like BL, sweet pool is extremely unsettling and not what I would describe as a “fun” game to play. Regardless, I still was enthralled by it, and aspects of the game will be sure to stick with me for a long time. In that way, it’s definitely one of the most impactful games I played in 2018. 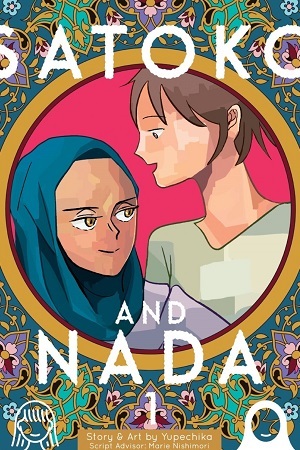 Satoko and Nada is a heartwarming manga about a Japanese woman and a Saudi Arabian woman who are roommates studying abroad at a college in the US. It’s written in the four-panel style, so it’s full of short, fun vignettes and perfect for reading in short bursts. When there’s so much awful going on in the world because people won’t tolerate those who are different than them, it’s really wonderful to see a manga about two women learning about one another’s cultures, as well as America. If you’re interested in reading about what a study abroad experience feels like, it does a great job conveying the joys and difficulties of that experience, too. 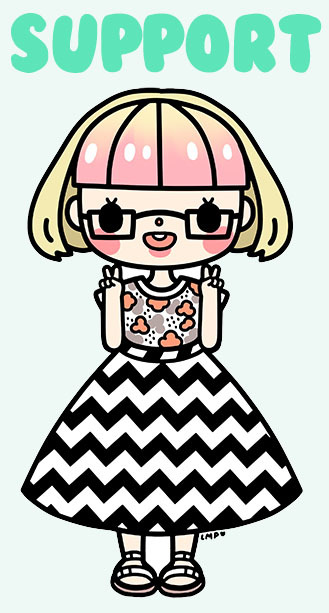 Even if you don’t read a lot of manga, Satoko and Nada is easy to recommend. I hope it will become a mainstay in school libraries and hope to see more buzz around it as more volumes come out in English! There was certainly a lot of great media that came out in 2018, but these were some of my personal standouts! 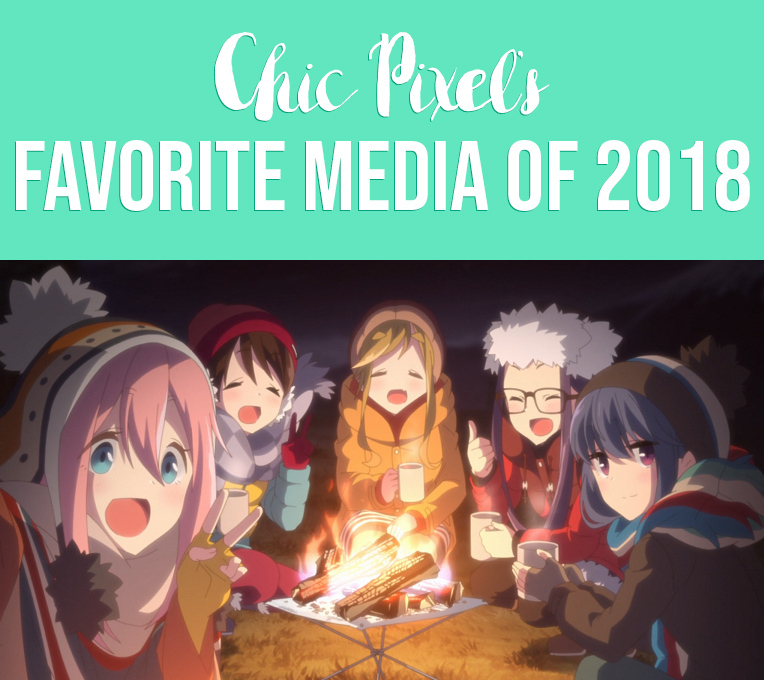 What did anime, manga, games, or other media did you enjoy from last year? Share your favorites in the comments!